No one can tell you how to live your life, but the more time spent in fostering and nurturing your precious self, the more you will shine. Self-love and self-respect come from within, and having an understanding of your own body can help you remain in touch and connected to yourself. 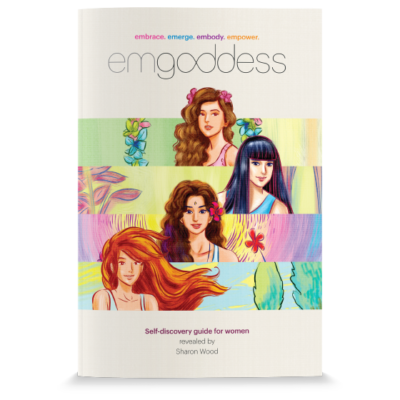 Emgoddess has all the information about the four phases of your cycle and how you can understand why you feel the way you do each day. Discover the power each day brings you. Support yourself through the different stages of the month these beautiful essential oil blends. •Daphne Blend – Ignite your passion for life and spark your emotions, with a renewed energy. This blend embodies the spirit of the goddess Daphne, keeping you on track and unstoppable. •Demeter Blend – Be enveloped by goddess Demeter’s embrace and succumb to feelings of calm and balance. This blend restores peace and tranquillity and brings you back to centre. •Hecate Blend – Stop the world and submerge into the peaceful and soothing energies of goddess Hecate. This blend boosts your inner strength and deepens your intuition. •Persephone Blend – Radiate self-confidence, power and expression as you unleash the passionate essence of goddess Persephone. This blend expands your awareness and harnesses your inner power – become invincible.